Summary of the Wording on Range permits as issued by the C.F.C. has also been approved for the use of .50 Browning calibre under strict conditions and those conditions are: 1. ) No Rapid Fire, 2.) 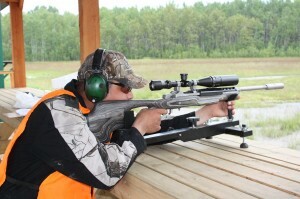 Benchrest shooting only. 3.) 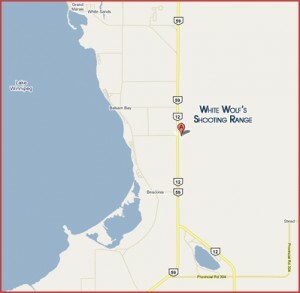 This shooting must be done from the centre shooting locations on the Firing Line, 4.) Range Operator/Owner must approve the shooting of this calibre firearm on this range at all times and have a Range Officer present when this calibre firearm is being used. This range is approved for non-reactive target type shooting only (NO bowling pins, NO hard silhouette targets). Has also been approved for the shoooting of rifle cartridges contained in the template groups “.22 Long Rifle and .223 Remington and .308 Winchester”. This range is approved for shooting reactive target types (i.e.) bowling pins, steel platesetc. shooting without covers. Shooters must be a minimum of 10 meters from the targets. The use of .50 calibre is NOT authorized for use on this range. *Strong recommendation that Range #2 cease fire when shooters from Range #1 go down range to the target line at the backstop.